nero profumo: Kinski: Molecule Zero Kinski. After a rapid test on paper I dismissed Kinski as it sounded like something "claculated" to achieve the success of both Escentric 01/Molecule 01. Just like a (not so) talented pop singer trying to replicate his previous unexpected success. All the elements of the first memorable song are there, but the new track lacks the freshness and the innovative power of the first song. I was WRONG (well, almost)! On skin, Kinski has something more to offer! First of all, let me tell you that in order to properly appreciate this fragrance you have to be fine with a consitent dose of synthetic notes as, this is manily what it's all about. The opening is extremely modern with pink pepper and nutmeg paired with a true-to-life rendition of resinous/juicy cannabis. A strong synthetic/animalic presence provides a dark, sort of old-fashioned, musky quality that perfectly blends with the rest. I'm hooked. Assertive, It surely has an impact! The fragrance stays pretty linear for a couple of hours to then evolve into a synthetic resinous woody-vetiver base. Here come my comparisons with some of the previous releases by Escentric Molecules. The resinous woody aspect is definitely an extension of both Escentric 01 and Molecule 01 (Iso E Super), while the vetiver brings immediately to mind of Escentric 03 / Molecule 03 (Vetiveryl Acetate). The cannabis accord is still there as well as the musky quality while, in this phase, Kinski resembles an hypothetic mash-up between Encre Noire and L'Eau Guerriere. 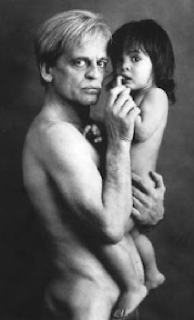 I surely changed my mind on Kinski and, now, I quite like it but honestly, I still have some reservations. 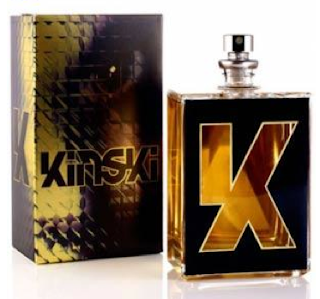 My feeling is that Kinski is just like one of those fragrances that works like a pop-song (again). It's catchy, emotionally fresh and new at first, but turns to be boring in no time. My suggestion so far is to go through a couple of samples before you pull the trigger on a full bottle. It is for posterity to judge.